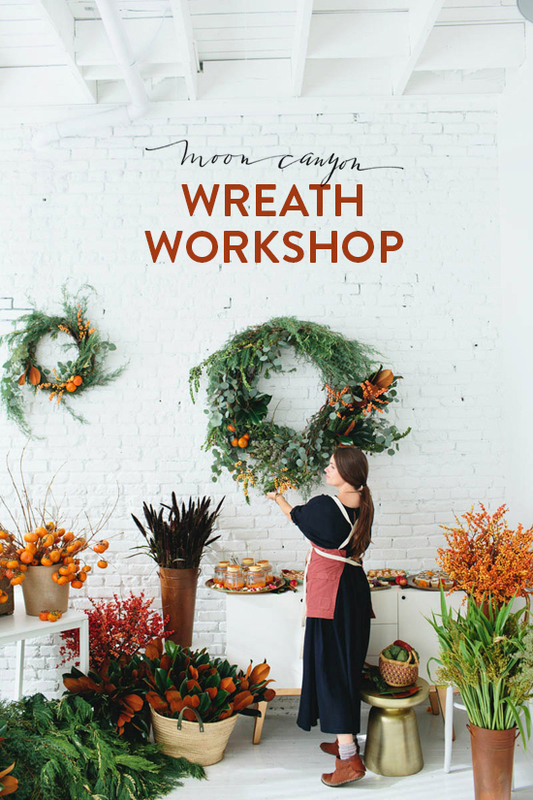 We were graciously asked to create a holiday inspired menu for a bunch of lovely ladies attending a festive wreath workshop hosted by Designlovefest and taught by moon canyon. What a fun a delicious way to get into the holiday spirit! Here are a few photos from the day all beautifully taken by Brittany Wood. An amazing display of wreath possibilities by moon canyon. Grilled Cheese with brioche and brie + smoked tomato bisque, perfect for these chilly days coming our way. 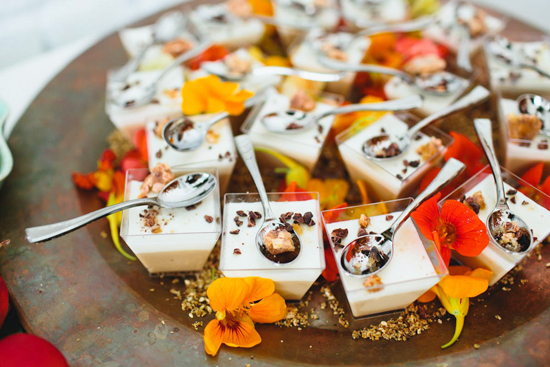 Butterscotch Pudding with thyme panna cotta and sweet potato brittle. Sweet Potato Tartlettes with house made marshmallow and cranberry crumble. Deviled Eggs with chipotle “caviar” house cured bacon, and homemade pickle. A special thanks to all involved for having us, and to Brittany Wood for taking all of the wonderful photos. Wishing you all a great beginning to the holiday season from roomforty!